Hollywood billionaire movie producer Grayson O’Day has a plan to rid the world of poverty through the power of imagination. He relocates his operation from Hollywood to The Hamptons, and spends a small fortune to build a prototype movie studio. With construction complete, O’Day needs only one thing to fulfill his vision: a test subject. The World Premiere of Me is the story of Duncan Ferris and his unlikely journey from classic underachiever to forerunner of the final age of man: The Age of Mind. Duncan Ferris, a man with big dreams and a tiny life, accepts Grayson O’Day’s invitation to be first test subject of the studio. With the assistance of a world-class writing team, Duncan creates a script of his rags-to-riches story to transcend debt and accumulate his monetary goal of $110,000,000. For five months, Duncan acts out the script while being filmed in The Unchartered Territories, a replication of Man’s imagination and the crowning achievement of Grayson O’Day’s life work. The story’s climax takes place at the Grand Opening of Eternal Sunset Productions movie studio, where Duncan’s unique movie—titled The World Premiere of Me—is shown to 12,000 invited guests, and simulcast to millions on HBO. This urban fantasy takes place in the fictitious town of North Harbor in the famed Hamptons region of eastern Long Island. 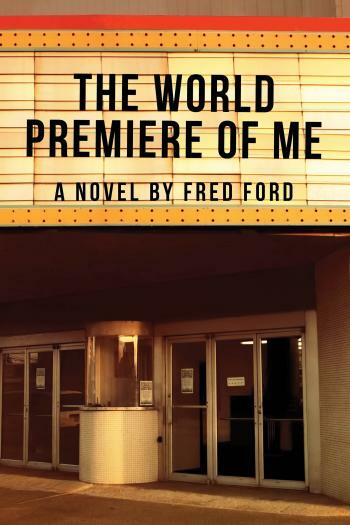 This is Fred Ford’s fifth book and first novel.